If there is one thing that you should know about me, it's the fact that I may be addicted to dry shampoo. Yes, I still physically wash my hair with shampoo and conditioner, but I am a mom, and sometimes a shower is not possible; so for the two to three days in between washings, I use a dry shampoo. The reason I say that I am addicted, is because I currently own not one, but FIVE different kinds of dry shampoos. This is due in part to the fact that I just don't like to return stuff, and because I like to try the different kinds. Each one of the five has their own special uniqueness that I like, including smell, amount of residue left, and "cleaning power". Unfortunately the reason that I may have five on hand, is because I haven't found the ONE. The one dry shampoo that doesn't choke me out (if you have ever used dry shampoo, you know what I am talking about- this also happens with some hairsprays), doesn't leave residue, volumizes my thin hair, smells good, and absorbs oil. Basically I was searching for the "full package dry shampoo". I was at Target one day, and noticed a travel size bottle of Fekkai Blowout Hair Refresher Dry Shampoo on clearance. I was intrigued because I already use the Fekkai PrX Reparatives Shampoo and Conditioner, but I was also skeptical. You see, I used to be a HUGE Redken shampoo and conditioner user, and then I tried their styling products and was super disappointed. But all skepticism aside, I decided to purchase the clearanced bottle of dry shampoo, because, well like I said, I'm addicted. *I apologize in advance for the cell phone pictures, but my actual camera is on the fritz and I hope to be getting a dslr soon. Once I tried the contents on my little blue clearance bottle, my skepticism flew out the window and I literately fell in love. 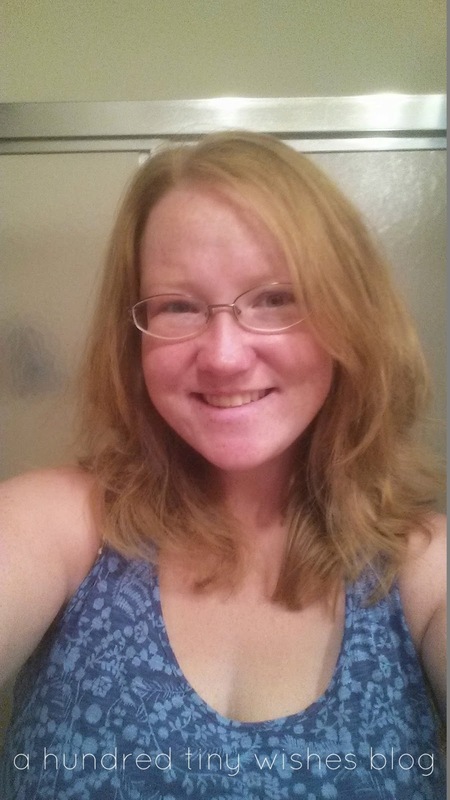 I fell in love with the fact that it didn't choke me out, DID NOT leave a white residue in my light colored hair, voluminized the heck out of my third-day-oily-and-matted-down-hair (yeah, I'm kinda embarrassed to admit that), and made my hair smell flippin' amazing. Like I am talking ah-maz-ing. Can you tell which one is before and which one is after? I stand behind this product so much, that I had to give you another selfie. I just love how it made my hair look. If the other Fekkai styling products are anything like this one, I am super excited to try the rest of the Blowout line. 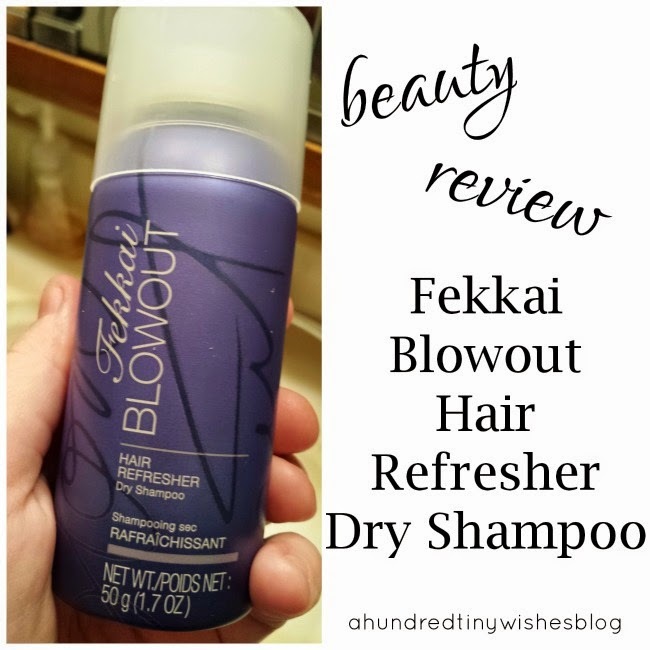 If you are interested in buying the Fekkai Blowout Hair Refresher Dry Shampoo, you can grab it from the Fekkai website (btw if you sign up for the mailing list you can get a code for 15% off) or from Target. Have you ever tried Fekkai products? What about their dry shampoo? *linking up with The Grits Blog and Treasure Tromp. There is a huge difference! I love it. I was a die-hard baby powder user before it became easy to find dry shampoo. 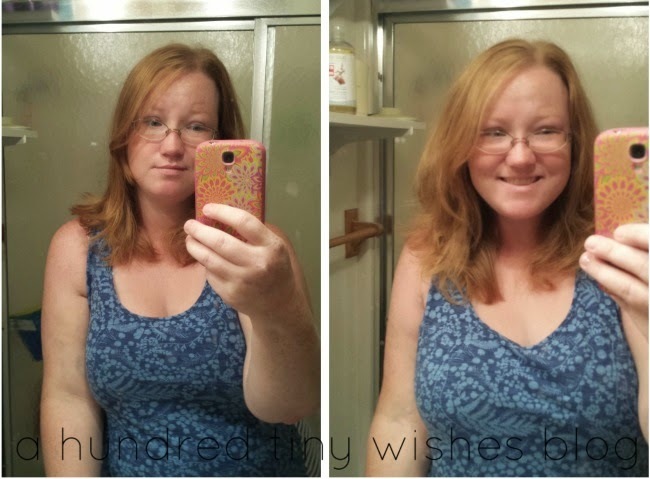 I need it at my roots every day--even after a fresh washing! I feel like I might go out and buy this. My hair always looks flat. ok yep i will be buying this! especially since i just ran out of my dry shampoo the other day.